Welcome back to our Outdoor Movie Party week here on Moms & Munchkins. 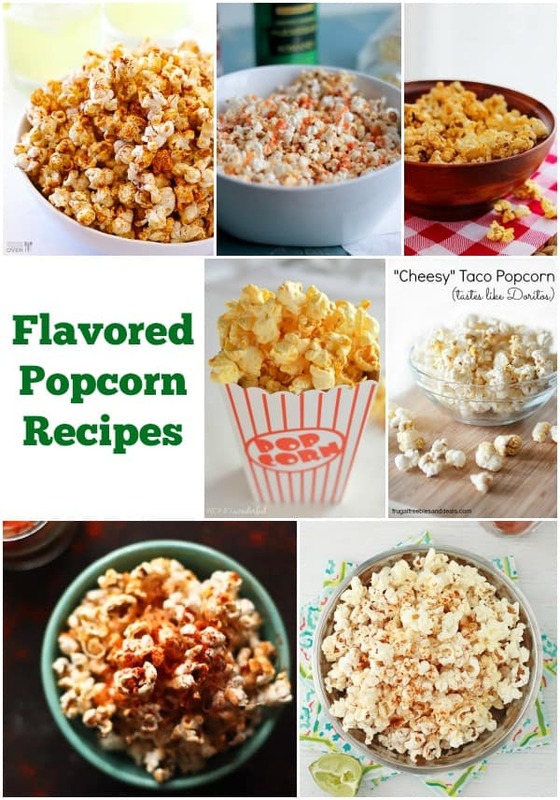 Today we’re sharing a collection of tasty flavored popcorn recipes. 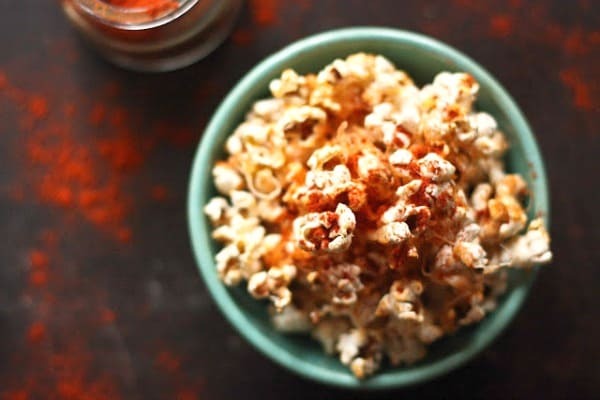 There are delicious ideas here for both spicy & salty so you’re sure to find something perfect for your next movie night. This is a collection from other talented bloggers. To view the full recipe for any of these ideas, simply click on the title of the recipe and it will open up in a new window for you. This Taco Popcorn by Gimmie Some Oven (pictured above) looks absolutely delicious. Just check out all the flavor on this popcorn! 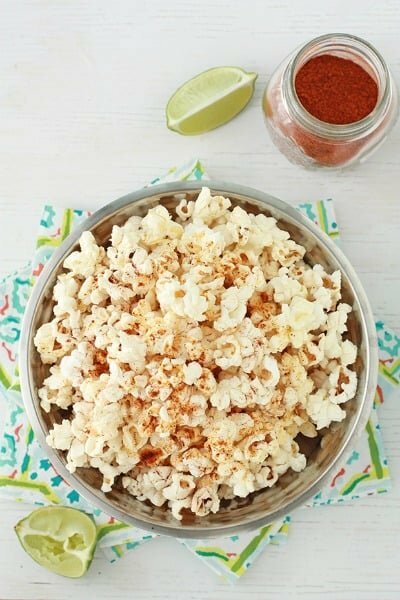 I love the lime-flavored tortilla chips so I know I’d love this Chili Lime Popcorn by Kitchen Heals Soul. 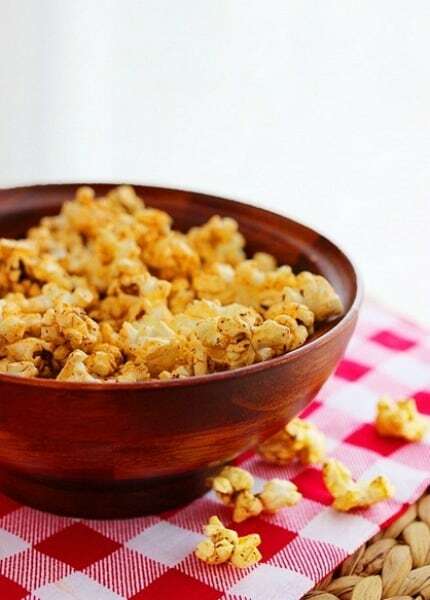 This Buffalo Parmesan Popcorn by Bake Your Day is perfect for those of you who like a spicy burst of flavor in your snacks. 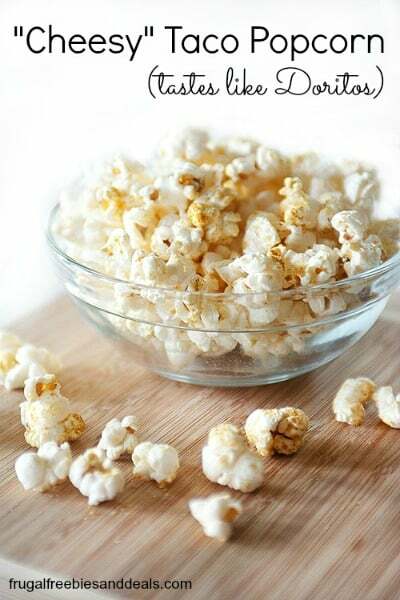 This is my kind of popcorn recipe – Garlic Parmesan Popcorn by Feasting At Home. I’m sure I could gobble up an entire bowl of this on my next movie night. Can’t decide if you want spicy or sweet? 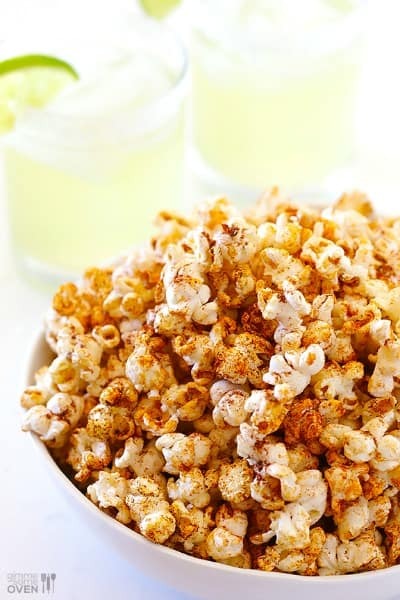 Then this Sweet ‘n Spicy Brown Butter Popcorn by The Comfort of Cooking is the one for you! Have you ever tried buffalo wing sauce on popcorn? 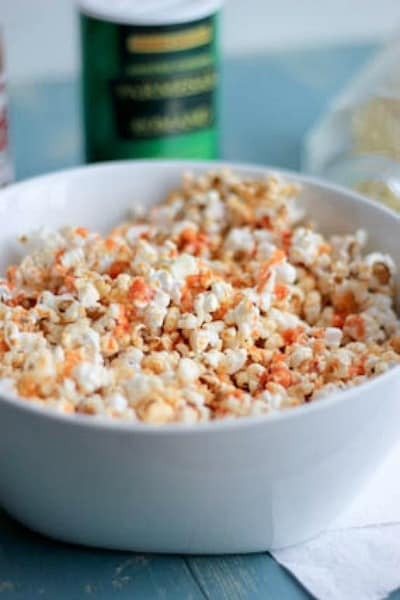 Well, you’re going to want to now after seeing this Buffalo Popcorn Recipe by Wonky Wonderful. My husband loves Doritos and this Cheesy Taco Popcorn by Frugal Living Mom is said to taste like Doritos. I can’t wait to try it…if he’ll share with me! 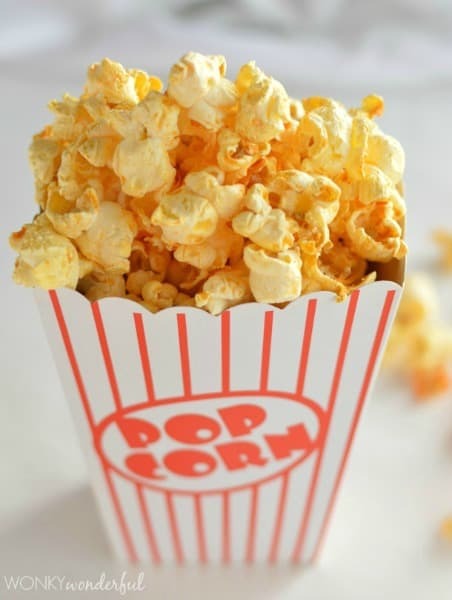 Don’t forget to visit our special Movie Night category for more delicious ideas, movie party decorating ideas, free printables and more!